India will double the tax on coal production and promote electric vehicles and renewable-energy projects to balance out emissions from coal-fired power plants. The world’s third-biggest emitter of greenhouse gases will raise the duty on coal to 200 rupees ($3.2) a ton, Finance Minister Arun Jaitley said in his budget speech for the year starting April 1. The money will be used to promote clean energy, he said, indicating India’s commitment to fight global warming. Prime Minister Narendra Modi’s government, which swept to power in May, has set itself unprecedented targets for clean energy and has increased taxes on use of fossil fuels such as coal and petroleum amid mounting international pressure to curb emissions. 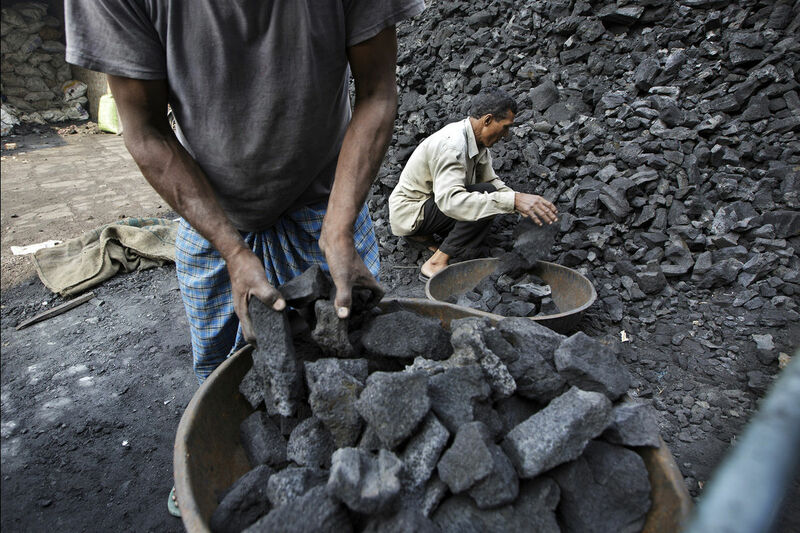 The higher tax on coal will encourage investments in washeries and upgrading plants to increase fuel efficiencies, said Kameswara Rao, who oversees energy, utilities and mining at PwC India. Coal fires about 60 percent of India’s electricity generation capacity and is among the cheapest sources of power in the country. The higher tax will lead to an increase of as much as 0.06 rupees in coal costs for every kilowatt hour of electricity, Rao said. Countries attending the 21st international conference on climate change in Paris at the end of this year will aim to reach an agreement on greenhouse-gas reduction. While the U.S. and China, the world’s two biggest polluting nations, announced an accord in November to control their emissions, India has avoided making any specific commitments, said Bharat Bhushan Agrawal, an analyst with Bloomberg New Energy Finance in New Delhi. India wants to prioritize economic development, which will entail investments in new coal-generation capacity along with renewable energy, he said. India plans to add 175 gigawatts of renewable-generation capacity by 2022, including 100 gigawatts from solar. That will help more than double the share of renewables in the mix of fuel it consumes from the current 6 percent, Piyush Goyal, the minister for coal, power and renewable energy, said in November. Goyal is working to meet Modi’s promise of providing electricity to all. About one-third of India’s 1.25 billion people don’t have access to electricity, which deprives them of basic health and education facilities. Frequent blackouts cripple its industrial output and add to the cost of production. India is gradually ending subsidies on fuels and has levied taxes on gasoline and diesel to fund new roads. COPENHAGEN — Denmark, a tiny country on the northern fringe of Europe, is pursuing the world’s most ambitious policy against climate change. It aims to end the burning of fossil fuels in any form by 2050 — not just in electricity production, as some other countries hope to do, but in transportation as well. Now a question is coming into focus: Can Denmark keep the lights on as it chases that lofty goal? Lest anyone consider such a sweeping transition to be impossible in principle, the Danes beg to differ. They essentially invented the modern wind-power industry, and have pursued it more avidly than any country. They are above 40 percent renewable power on their electric grid, aiming toward 50 percent by 2020. The political consensus here to keep pushing is all but unanimous. Their policy is similar to that of neighboring Germany, which has spent tens of billions pursuing wind and solar power, and is likely to hit 30 percent renewable power on the electric grid this year. But Denmark, at the bleeding edge of global climate policy, is in certain ways the more interesting case. The 5.6 million Danes have pushed harder than the Germans, they have gotten further — and they are reaching the point where the problems with the energy transition can no longer be papered over. The trouble, if it can be called that, is that renewable power sources like wind and solar cost nothing to run, once installed. That is potentially a huge benefit in the long run. But as more of these types of power sources push their way onto the electric grid, they cause power prices to crash at what used to be the most profitable times of day. That can render conventional power plants, operating on gas or coal or uranium, uneconomical to run. Yet those plants are needed to supply backup power for times when the wind is not blowing and the sun is not shining. With their prime assets throwing off less cash, electricity suppliers in Germany and Denmark are on edge. They have applied to shut down a slew of newly unprofitable power plants, but nervous governments are resisting, afraid of being caught short on some cold winter’s night with little wind. The governments have offered short-term subsidies, knowing that if they force companies to operate these plants at a loss, it will be a matter of time before the companies start going bankrupt. Throughout Europe, governments have come to the realization that electricity markets are going to have to be redesigned for the new age, but they are not pursuing this task with urgency. A bad redesign could itself throw customers into the dark, after all, as happened in California a decade ago. Denmark is geographically lucky. It has strong electrical linkages to neighboring Sweden, with plentiful nuclear power capacity, and Norway, with power available on demand from dams. But Swedish politicians have vowed to shut down the country’s nuclear plants and go renewable, and Norway’s cheap hydroelectric power is in rising demand, with a supply line under consideration to energy-hungry Britain. 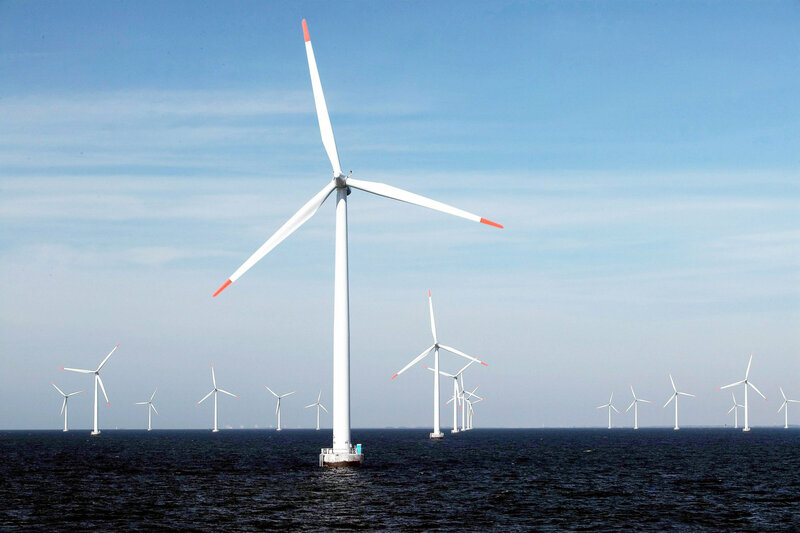 So the Danish electricity industry sees trouble coming. The government is somewhat dismissive of that notion but well aware that it needs to find a way out of this box. Environmental groups, for their part, have tended to sneer at the problems the utilities are having, contending that it is their own fault for not getting on the renewables bandwagon years ago. But the political risks of the situation also ought to be obvious to the greens. The minute any European country — or an ambitious American state, like California — has a blackout attributable to the push for renewables, public support for the transition could weaken drastically. So the trick now is to get the market redesign right. A modest version of reform would essentially attach a market value, and thus a price, to standby capacity. But Rasmus Helveg Petersen, the Danish climate minister, told me he was tempted by a more ambitious approach. That would involve real-time pricing of electricity for anyone using it — if the wind is blowing vigorously or the sun is shining brightly, prices would fall off a cliff, but in times of shortage they would rise just as sharply. As Denmark, like other countries, installs more smart meters and smart appliances able to track those prices with no human intervention, one can imagine a system in which demand would adjust smoothly to the available supply. Most people would not care if their water heater were conspiring with other water heaters to decide when to switch on and off, as long as hot water reliably came out of the tap. Yet, even if Denmark can figure out a proper design for the electric market, it has another big task to meet its 2050 goal: squeezing the fossil fuels out of transportation. Prematurely, perhaps, the country embraced a proposed system of electric cars in which depleted batteries would be switched for fresh ones in minutes, but only a few hundred cars were sold before that overly ambitious plan flopped. Mr. Petersen told me he still felt electrification of cars was the way to go, but the cars themselves were not really ready. 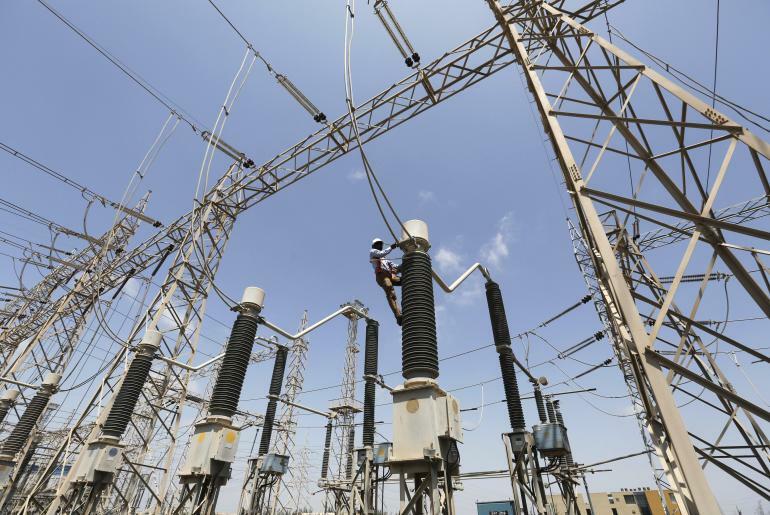 A technician repairs power supply lines at a power plant in the western Indian state of Gujarat. In its annual World Energy Outlook report, the International Energy Agency on Wednesday said India would become the world’s “leading engine of energy demand” by 2040. Global energy demand is set to soar over the next two decades, threatening to “stress” the world’s energy systems as countries struggle to maintain supply, the International Energy Agency said Wednesday. The agency advised that significant investments and policy changes are needed to ensure that enough oil and natural gas are drilled and renewable energy projects are developed to match the pace of global consumption. In its annual World Energy Outlook, the Paris-based agency projected that global demand will rise by 37 percent by 2040. “As our global energy system grows and transforms, signs of stress continue to emerge,” IEA Executive Director Maria van der Hoeven said in a statement. That growth, however, actually signals a slowdown in demand compared with previous decades. Aggressive policies and new technologies to boost energy efficiency in buildings, factories and cars have helped to curb some of the world’s appetite for energy. The pressure on energy systems “would be even greater if not for efficiency measures that play a vital role in holding back global demand growth,” according to an agency press release. According to the IEA report, the use of coal and oil will steadily plateau, while natural gas use and consumption of low-carbon fuels like nuclear power and wind and solar will grow the strongest. Renewables could account for nearly half of the world’s increase in power generation over the next three decades, and overtake coal as the leading source of electricity, the agency said. “Renewables are expected to go from strength to strength, and it is incredible that we can now see a point where they become the world’s number one source of electricity generation,” Van der Hoeven said. 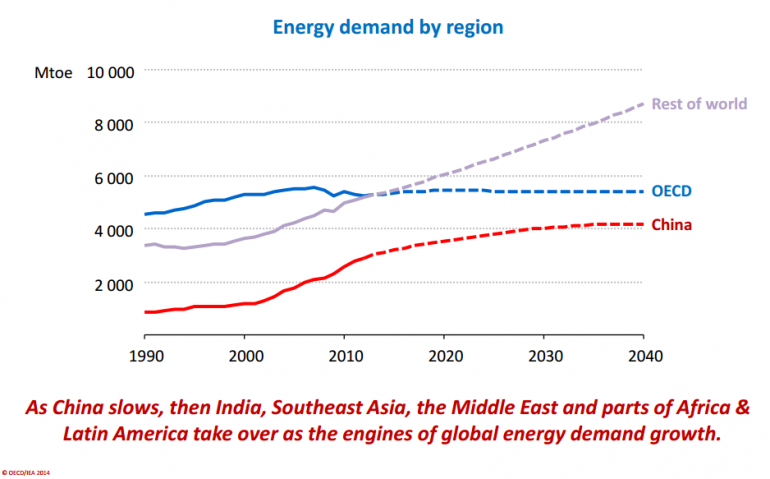 Much of the growth in global energy demand will come from India, which would overtake China as the leading engine of energy consumption by the mid-2020s as China’s population levels off and its economic growth slows, the IEA said in its report. 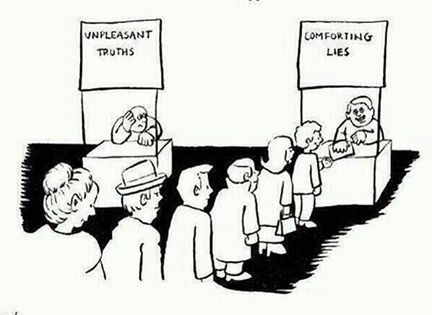 As the popular saying goes, “a lie that is repeated enough eventually becomes the truth“. This quote is most often attributed to Joseph Goebbels, the Propaganda Minister of the National Socialist German Worker’s Party or the Nazi Party. Whether the validity of the attribution is true, this observation demonstrates the tendency of the masses to believe whole heartedly in postulations that involve them emotionally, regardless of scientific evidence. At this point in time, the consensus among scientists points to the fact that we are indeed affecting the planet’s temperature through man made carbon emission. The exponential industrialization the civilizations of the world have experienced over the last century have also exponentially increased the amount of carbon dioxide that we release onto the atmosphere. According to the latest United Nations backed Assessment Report from the Intergovernmental Panel on Climate Change, “most of the observed increase in globally averaged temperatures since the mid-20th century is very likely due to the observed increase in anthropogenic (resulting from human activity) greenhouse gas concentrations”. The delicate nature of the amount of carbon dioxide in the atmosphere can influence Earth’s climate due to the “greenhouse effect”. The greenhouse effect is a process by which thermal radiation from a planetary surface is absorbed by atmospheric greenhouse gases, and is re-radiated in all directions. Since part of this re-radiation is back towards the surface and the lower atmosphere, it results in an elevation of the average surface temperature above what it would be in the absence of the gases. This in turn leads to positive feedback loops of the melting polar ice caps and thawing-out of the permafrost to perpetuate the already increasing carbon dioxide levels. CO2 is produced by fossil fuel (oil,coal and gas) burning and other activities such as cement production and tropical deforestation. 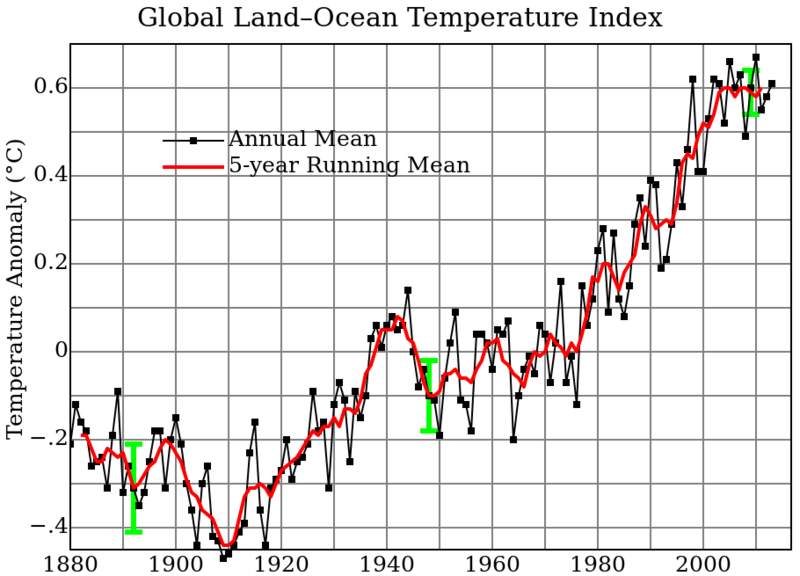 Measurements of CO2 from the Mauna Loa observatory show that concentrations have increased from about 313ppm (parts per million) in 1960 to about 389 ppm in 2010. It reached the 400ppm milestone on May 9, 2013. To some segment of the population, the idea of man made climate change is utterly preposterous. This small but loud minority are the first to condemn any environmental regulation proposal citing various pseudo-scientific research and of course going with that “good ole’ gut feeling”. If we take a step back and examine the majority of the scientific research that the climate change denier’s cite, we find that most of them are authored and produced by special interest groups that benefit directly from more lax environmental regulation. 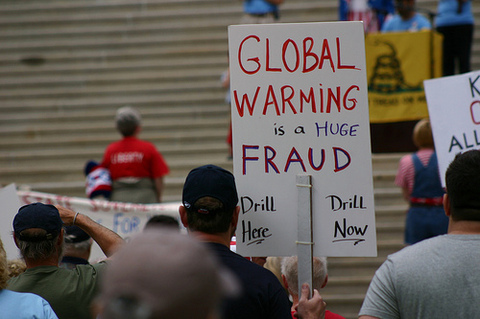 Irrefutably, one of the champions of climate change denial are the Koch brothers. Charles and David Koch are the majority shareholders of the Koch Industries, a massive conglomerate ranked as the second largest, privately owned company in America. The brothers whose individual net worth is $40 billion each, built their fortune in fossil fuels and industrial chemicals. It might come as no surprise then that the Koch brothers allocate a considerable portion of their enormous income to funding a political campaign against every kind of environmental or other regulation that might get in the way of their often lucrative profits. In fact the Koch brothers have used their money and influence to create an extensive network of think tanks, foundations, lobbyists and tame politicians to push their agenda. As it stands currently, the Koch brothers are firmly at the center of the Republican power base with their far reaching money and influence being responsible for the lobbying of the far right political rhetoric. The list of right wing and free market groups they have used their vast fortune to support is many but it includes the Cato Institute which Charles cofounded in 1977, the American Enterprise Institute, the George C Marshall Institute, the Reason Foundation, the Heritage Foundation, the Manhattan Institute and Americans for Prosperity, founded by David Koch himself and which spent $40million for the 2010 Congressional elections alone. Also, one of their front groups, Americans for Progress have played a critical role in instigating the funding for the Tea Party movement. It is almost morbidly fascinating how the Koch brothers have managed to persuade the people that are most harmed by their agenda that, in fact, it is actually beneficial to them. Now that is a propaganda that even Joseph Goebbels would be proud of. When asked about global warming and ardent climate change denial stance taken by the many in the position of power, the renowned astro-physicist Neil DeGrase Tyson said “Everyone is entitled to a personal opinion, but those in a position of power have a responsibility to rely on something more than faith. The fact of the matter is that climate change is real and it is happening. Unless we curb our reliance on fossil fuels significantly over the next few decades, the likelihood of catastrophic event is all but guaranteed. We must explore and proliferate all form of sustainable method of harvesting energy, whether that be nuclear, solar, wind or geothermal. I believe that each source has its place in the energy matrix of tomorrow. So are we completely screwed? BC Election 2013 is tomorrow. Regardless of who you are supporting, I urge you guys to exercise your democratic right and go out there and VOTE. I know right now it is real popular to hate Christy Clarke but populism is not always the right answer. Case in point, the last Presidential Elections in France. The people wanted change despite that change being not necessarily right for society. The people wanted to punish UMP’s Nikolas Sarkozy for not doing enough (even though the strategies and policies he implemented would take time to kick in) by propping up The Socialist Party’s Francois Hollande. One year after the elections and look where France is. Hollande promised to restore French competitiveness by reversing job losses and ending austerity. Instead, they have even higher unemployment rate, stagnating economic growth, disappearing investments and fringe radicals getting more attention. I am a pragmatist and I want to live in a province that encourages innovation and nurtures entrepreneurial spirit not curb it by pandering to special interests groups. Will the NDP policies of higher income/business/investment taxes, bigger government, and fatter public sector help the private sector create jobs and attract investment? I know most people are disenchanted and jaded by the provincial politics but change for the sake of change is not the answer. This is why I am voting for BC Liberals. Green Future in Mongolia, Real and Substantial Prospect. I am sure, if you have been reading my blog, you realize that I talk about Mongolia quite often. Well, half of this can attributed to the fact that I was born and raised in Mongolia and I most certainly take pride in my heritage. The other half, is the fact that I see tremendous potential in the country’s future. Besides the more obvious opportunities in the natural resource sector, there are vast potential in other sectors of the economy. It is imperative for the economy of Mongolia to not fall under the “Dutch Curse”, an economic condition whereby the growth is mainly influenced by the natural resource sector. The economy’s over reliance on natural resources can lead to other sectors of the economy to be uncompetitive and stagnant. Therefore, it is very important for public and the private sector to diversify their portfolio. After all, Mongolia has become ‘the fastest growing economy’ and the potential for other business development ventures, much needed urban planning and clean technology is as the Mongolians say, ‘blue as the sky’. Here is a very intriguing interview with President of Mongolia, Elbegdorj with CNN’s Christiane Amanpour. SoftBank Corp, Japanese mobile phone company planning to invest $20 billion in Sprint Nextel Corp, plans to develop wind power projects in Mongolia. Newcom is Mongolian telecommunications company with investments in clean tech. This follows recent deal involving EBRD (European Bank for Reconstruction and Development), FMO (Netherlands Development Finance Company) and Mongolia. Sites in the Gobi desert which may have a capacity of as much as 300 megawatts of wind power. Should Softbank and Newcom decide to build there, operations may start in 2014. SoftBank President Masayoshi Son has been investing in renewable energy after the Fukushima nuclear disaster. “Asia Super Grid” plan to connect power grids from India to Tokyo to allow for stable power supply and boost the use of renewable energy in the region. Although ambitious, the plan for the “Asia Super Grid” could lay down the blueprint for nations to move away from polluting finite energy source to renewable energy sources. The mechanisms of the deal between ERBD (European Bank for Reconstruction and Development), FMO (Netherlands Development Finance Company), Government of Mongolia and the private sector has already been set in motion. 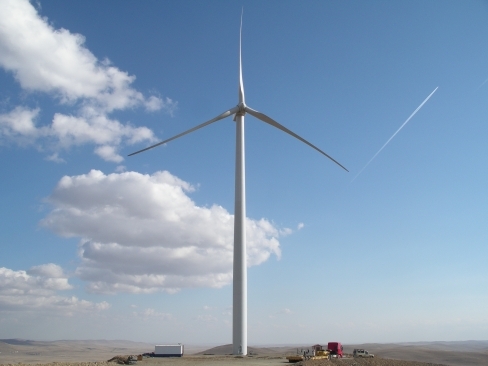 The first wind turbine generator(WTG) on Salkhit wind farm was completed on October 2nd, 2012. They expect to have 20 WTG by the end of the year. The Salkhit Windfarm shall provide for energy needs of 100,000 households and save 190,000 tons of coal and 1.6 million tons of water. It shall prevent emission of 200,000 tons of CO2. Potentially, this development effort can supply 20% of energy needs of Mongolia. Moreover, the energy harvesting potential in the Gobi desert is vast as well. None of this will be done over night, however the potential for Mongolia to be “trailblazer” in the renewable and sustainable clean technology sector is very real. Mongolia’s Quest for Third Neighbours: Why the European Union? Mongolia is beginning to attract more interest from European organisations and institutions. A Partnership and Cooperation Agreement (PCA) between Mongolia and the European Union is expected to be concluded soon, and in March 2012, NATO agreed an Individual Partnership and Cooperation Program (IPCP) with Mongolia. 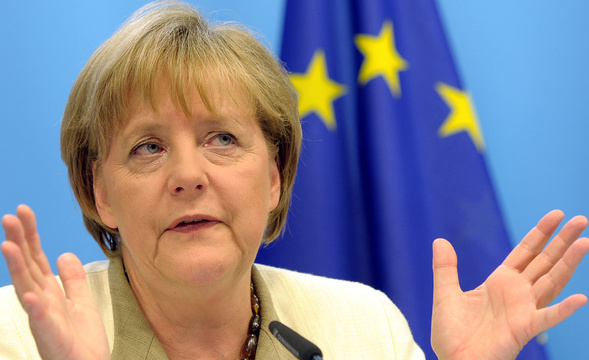 In October 2011, the German Chancellor Angela Merkel took time out from dealing with the financial crisis to visit the country, and the OSCE Secretary General visited in June 2012 to discuss Mongolia’s request to become a fully participating member of the organization. Over the past two decades, European countries and institutions have had limited interest in responding to Ulaanbaatar’s calls for cooperation and partnership because of Mongolia’s remoteness and geostrategic insignificance. But European attitudes are changing, because Mongolia’s sustained commitment to democracy and to creating economic opportunities is aligned with European global objectives, and particularly the EU’s goals in Central Asia. When the EU left Mongolia out of its Strategy for Central Asia in 2007, the European Parliament urged the Council and Commission to reconsider in view of Mongolia’s substantial progress ‘in establishing a state based on democracy, human rights and the rule of law in the legion’. The Council and the Commission define Central Asia as the five post-Soviet ‘-stans’, but the European Parliament includes Mongolia as part of the Central Asian region. Mongolia’s inclusion in the EU’s Central Asia Strategy could help the EU in its work of promoting democracy. Mongolia would value the opportunity to develop closer ties with the EU in order to balance the influence of China and Russia and advance its ‘third neighbour’ strategy. This strategy is common to most smaller states in Eurasia that have suffered as a result of the geopolitical interests of their neighbours. This policy brief explores the reasons for Mongolia’s sustained commitment to European institutions, and especially to the EU. And it discusses the policy implications for Mongolia of a third neighbour partnership with the EU. Historically, Mongolia has been a geopolitical pivot for Japanese-Russian and Sino-Russian rivalries. Mongolia has been trying to reach out to the U.S., Japan, India and Western Europe for a long time. Up until the late 1980s, all of its attempts were crushed either by Beijing or by Moscow. But in the early 1990s, as Beijing and Moscow were forced to turn their attention to internal struggles and began to behave as benign regional powers, Mongolia succeeded in reaching out to third neighbours. 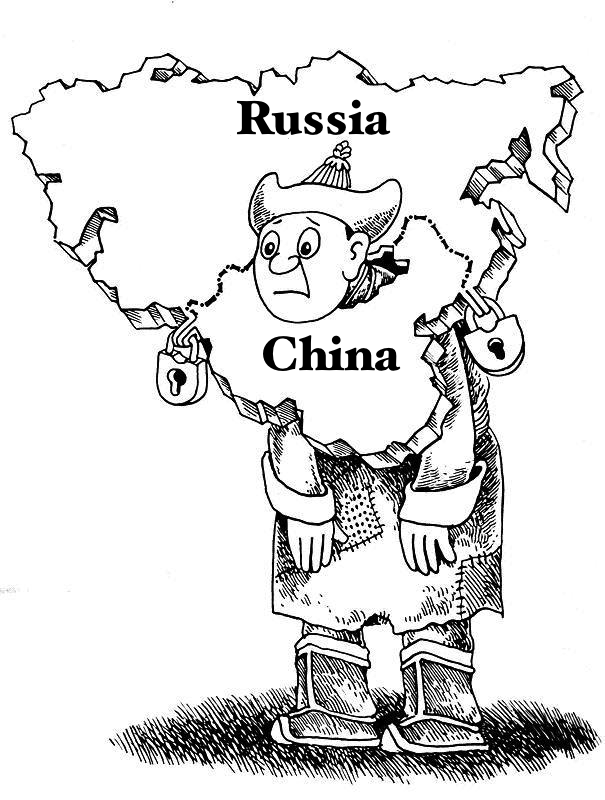 In essentials, Mongolia’s third neighbour policy is similar to the foreign policies of many other countries. It aims to develop closer political ties with powerful states in order to gain their support and recognition in international and regional politics. It promotes economic cooperation so as to diversify its foreign trade and investment. And it advances cultural ties with other states in areas such as education and religion. Mongolia’s third neighbour policy has one key difference from that of other states: it does not seek to obtain a security umbrella or pledge of mutual defence obligations unless its existence is threatened militarily. This is because of its delicate geostrategic location, neighbouring two great powers. Just as the Soviet military’s presence in Mongolia increased Chinese vulnerability in the past, military activities by third neighbours in Mongolia would trigger concerns in Beijing and Moscow. Mongolia’s revised National Security Concept says that the third neighbour policy is aimed at developing bilateral and multilateral cooperation with developed democracies in the areas of politics, economy, culture and human security.3 The Foreign Policy Concept names the U.S., Japan, the European Union, India, South Korea and Turkey as Mongolia’s desired third partners.4 This official clarification is a result of two decades of diplomatic efforts to find third neighbours. Most of these states have responded positively to Mongolia’s outreach, but both they and Ulaanbaatar are aware of the limitations of third neighbour status. Mongolia is an integral part of Eurasia, but it is geographically distant from Europe. However, a significant portion of Europe’s shortest air and land bridges to East Asia go through Mongolia’s territory. As a far eastern flank of Central Asia, Mongolia is at the boundary between the nomadic culture and lifestyle of Central Asia and the cultures of East Asia and China. Geographic remoteness and lack of awareness about Mongolia in Western Europe have hindered the development of any partnership between Europe and Mongolia. But European attitudes toward Mongolia have started to change. Several factors have been critical to bringing about this change in outlook. Mongolia is determined to build an engagement with Europe, and it has kept up its efforts to create linkages ever since official relations were established with the European Union in 1989. Bilateral ties with former countries of the communist bloc and new partners of Europe have played an important role in generating support for Mongolia in Europe. Mongolia’s commitment to democracy has made the EU look more favourably on the country’s attempts to build relations. And Mongolia’s mining boom and economic growth have captured the attention of political and business interests in Europe. A Trade and Cooperation Agreement was signed between the EU and Mongolia in 1993 and Mongolia became eligible for the Technical Assistance to the Commonwealth of Independent States (TACIS) programme in 1994. In 2001, the European Commission adopted its first Country Strategy Paper on Mongolia, outlining the EU’s priorities in dealing with the country. Three years later, Mongolia was granted a Generalized System of Preferences. The EU opened a Technical Office in Ulaanbaatar in 2006, when Mongolia joined the Asia-Europe Meeting (ASEM). In the same year, the European Bank for Reconstruction and Development (EBRD) became active in Mongolia. Mongolia’s repeated calls for cooperation with the EU, along with support from Germany, the Czech Republic, Poland, Bulgaria and others, resulted in negotiations on a Partnership and Cooperation Agreement in September 2009. The agreement is expected to be finalised this year. For Mongolia, the EU is the ideal ‘third neighbour’. In contrast to engagement with India, Japan or the U.S, Mongolia’s partnership with the EU should not set off any strategic concerns in Beijing or Moscow. Mongolia has had traditional ties in trade and cultural exchanges with several EU members, somewhat comparable to those between Japan and South Korea. Twenty-one per cent of more than 100,000 Mongolians who reside abroad live in EU member states. And rather than a one-way donor-recipient relationship, the new EU-Mongolia partnership has the potential to offer mutually beneficial cooperation. At the annual meeting with European ambassadors in November 2011, Mongolian President Tsakhiagiin Elbegdorj, Prime Minister Sükhbaataryn Batbold and Chairman of the Ikh Khural (Parliament) Damdiny Demberel said that increased partnership with the European Union is vital in strengthening Mongolian sovereignty, democracy and the market economy. A renewed EU-Mongolia partnership would have a firm basis in common values, mutual economic benefit and contributions to global peace and security. Mongolia has made a consistent commitment to democratisation and the protection of human rights. It has followed a similar path of democratisation to that of Central and East European countries and it has strongly rejected Russian, Chinese and North Korean models of authoritarian rule. Mongolia is the only Asian post-communist state rated since 1991 as an electoral democracy along the lines of Central European countries. It is rated significantly higher than all former Soviet republics as well as both its neighbours. Democracy in Mongolia has been initiated and carried out without any obligation to meet the stringent membership requirements of democracy-promoting institutions like the EU, NATO or the OSCE. 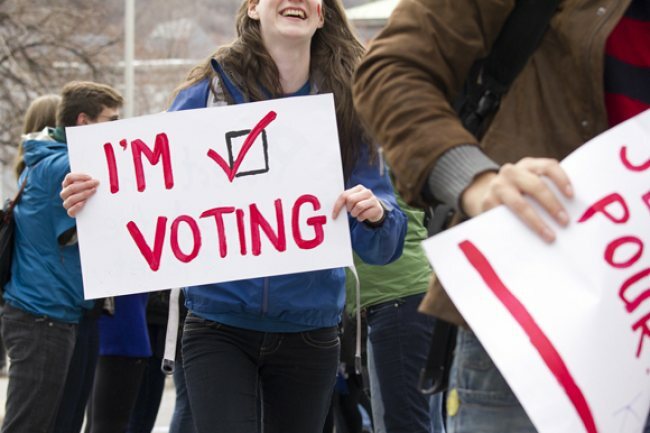 Elections are seen as the only way to obtain political power. Since 1992, six parliamentary and provincial elections as well as five presidential elections have been conducted, and all were regarded as free and fair by foreign observers. Electoral procedures are under constant scrutiny. The latest revision of the Law on Parliamentary Election in 2011 introduced requirements for people to resign from public service in order to be eligible to run in an election. It provided for a mix of proportional and majority representation as well as setting out electoral quotas for women. It prohibited making monetary promises, it gave more authority to the General Election Commission and it mandated the use of biometric IDs. Civil society activity is also on the rise. Bureaucratic malpractices are openly criticised by the public and by civil society organisations. In response to public pressure, anti-corruption efforts have been institutionalised and prominent politicians and government officials now face investigation by the Independent Anti-Corruption Authority. Meanwhile, environmental movements are becoming more important because of the environmental damage done by mining companies. Because of public pressure, the government stopped issuing mining licences, began introducing stricter environmental protection requirements and joined international initiatives such as the Extractive Industries Transparency Initiative (EITI), to which Mongolia signed up in 2010. Security forces are under civilian control and operate within a legal framework. The most recent reform efforts have concentrated on the judiciary and the police. International human rights watchdogs say human rights are protected reasonably well. In January 2012, Mongolia abolished the death penalty. In 2011, Mongolia became the first Asian post-communist democracy to chair the Community of Democracies (CD), an intergovernmental organisation of democracies that seek to advance democratic norms and work together to support and strengthen democracy worldwide. Mongolia is a new and vibrant democracy and shares many values with the EU. We have been closely following the developments in the case of the former President of Mongolia, Nambaryn Enkhbayar. We trust that this case will be treated transparently and with full respect for democratic principles, the rule of law and human rights. The EU reiterates its full support to the strengthening of democratic processes in Mongolia. Mongolia could be useful to the EU as a gateway to the northeast Asian economy. It borders with the mineral-rich Russian Far East and with north-western China. And it is close to the fertile Tumen River delta, which has the potential for economic development linked to the Korean Peninsula. With extensive financial assistance from international financial institutions and from donors like Japan, Germany and the U.S., Mongolia has restructured its economy and accepted the principles of the market economy. Mongolia began attracting foreign investors in the mining sector in 2005. In 2009, Mongolian government signed a multi-billion dollar investment agreement on one of the world’s largest copper-gold deposits with the Western mining companies, Rio Tinto and Ivanhoe Mines. Investment agreements on the high-quality coal mine, Tavan Tolgoi, have been negotiated with American, Chinese, Japanese, Russian and South Korean mining companies. Foreign investors are also involved in exploiting other, larger deposits of uranium, coal, aluminium and rare earths, as well as in contributing to related infrastructure projects. Mongolia sees the EU, Australia, Canada and Singapore as development models. Australia and Canada provide examples for the mining sector, while Singapore’s example presents solutions for education and housing. Mongolia is particularly interested in applying EU norms and standards because the EU has valuable experience in assisting new members who faced similar socio-economic challenges to Mongolia. Following Mongolia’s official request, the EU has created a ‘multiannual indicative plan of cooperation’ to assist in Mongolia’s implementation of European norms and standards. As Mongolia reaches out to the EU for investment, technology and norms and standards, a number of EU members have begun to look for opportunities to participate not only in mining projects, but also in other projects in Mongolia. Mongolia has similar ideas and concepts to the EU on global peace and security. Mongolia is committed to all international initiatives for the non-proliferation of weapons of mass destruction. It declared its territory a Nuclear-Weapon-Free Zone and it has made every possible effort to institutionalise its nuclear-weapon- free zone status. Mongolia joined the Proliferation Security Initiative (PSI) in 2007 and has taken several steps to improve its border security. Since 2002, Mongolia has contributed over 5,200 military personnel to UN peacekeeping operations in Africa as well as to U.S. and NATO-led coalition operations in Afghanistan, Iraq and Kosovo. Within this short period of time, Mongolia has deployed military contingents with a number of EU members and the United States. It deployed 1,200 personnel as part of a Polish contingent in Iraq. It sent 1,100 to Afghanistan with the U.S., Germany and Belgium. And it deployed over 100 in Kosovo with Belgian and French troops. Mongolia has at the moment about 400 personnel in Afghanistan. Given its modest GDP, its population of 2.7 million, the small size of its military and its ongoing contributions to UN peacekeeping, Mongolia’s commitment to peace and security is substantial. A renewed EU-Mongolia partnership could offer constructive cooperation in the areas of democracy, economy and international peace and security. Mongolia’s young democracy still wrestles with challenges, and the EU has experience in assisting new democracies in strengthening their institutions, the rule of law, protection of human rights and governance. One area in which the EU and its member states could help is in supporting the independence, professionalism and accountability of the judiciary and law enforcement institutions. The EU could support the development of civil society in building capacity to monitor and participate in governance. EU financial assistance would also be beneficial in providing opportunities for European and Mongolian civil society to cooperate and exchange views. Mongolia would welcome the EU’s help in encouraging and also monitoring the democratisation process. Increased foreign investment brings with it the likelihood of multinational corporations involving themselves in domestic politics. Brussels could help protect Mongolia’s democracy against intervention by serving as a neutral and reliable observer of elections, the fight against corruption and the promotion of civic and political rights. The EU is the third largest trade partner of Mongolia, which means there are advantages for both sides in economic collaboration. The EU can assist Mongolia to incorporate key European norms and work towards economic reform, since Mongolia is still listed by the EU as a non-market economy, although the WTO, World Bank, IMF, and Asian Development Bank regard Mongolia as a free market economy. The EU is Mongolia’s most welcomed investor in the mining and infrastructure sectors, because it fits into Mongolia’s third neighbour policy, offers advanced technology and standards, and nurtures Mongolia’s economic links with European partners. Mongolia continues to be a valuable partner for the EU on security, especially in view of its contributions to international peace and security. Human security is the area in which Mongolia has the greatest interest in collaborating and in promoting stronger international norms. Other areas for cooperation are peacekeeping and the democratic reform of security forces. Mongolia maintains experts and contingents for peacekeeping, humanitarian and disaster relief operations, which can be rapidly deployed. Mongolia’s sound civil-military relations, its experience in peacekeeping and its status as a neutral country could be of benefit to the EU and to the EU’s policy in Central Asia. The most practical way to broaden the EU-Mongolia partnership would be to include Mongolia in the EU’s initiatives on Central Asia. The EU seems to present the only forum for Central Asian states, and potentially Mongolia, to discuss issues like democratisation, human rights and rule of law, while at the same time incorporating these matters into other policy areas such as energy and security. These issues are not dealt with in Russian-driven organisations such as the Collective Security Treaty Organisation, nor in the Russia and China-led Shanghai Cooperation Organization. And they are not taken into account in plans for the establishment of a Eurasian Union. Mongolia’s inclusion in the EU Strategy on Central Asia could provide an important local example for consolidating democracy, promoting the involvement of small states in delicate geopolitical and economic situations, and facilitating the socialisation of new generations beyond the political and cultural influence of regional great powers. I believe that the European Union indeed will be an excellent candidate for Mongolia’s ‘third neighbour’ strategy. Aside from the vast natural resources that Mongolia possess, the country has been successful in building a free democracy with efficient market economy and relatively free of petty corruption which has characterized the region. Other former Soviet Central Asian countries like Turkmenistan, Tajikistan, Kyrgyzstan and Uzbekistan have had long history of tyranny and totalitarian policies. The other Central Asian country that can set a shining example for Mongolia’s development is Kazakhstan. Since the fall of Soviet regime in Kazakhstan, the country have been very successful in transitioning to a democratic free market society. In fact, the relocation of the capital from Almaty to Astana is a lesson that Mongolia can look at pending the problems within its own capital of high pollution and poor city planning but that is a story for another day. In conclusion, it seems that economic ties between the EU and Mongolia looks bright as the recent deals involving the European Bank of Reconstruction and Development (ERBD) and the Netherlands Development Finance Company (FMO) in addition to the Private Sector and the Government of Mongolia takes effect. 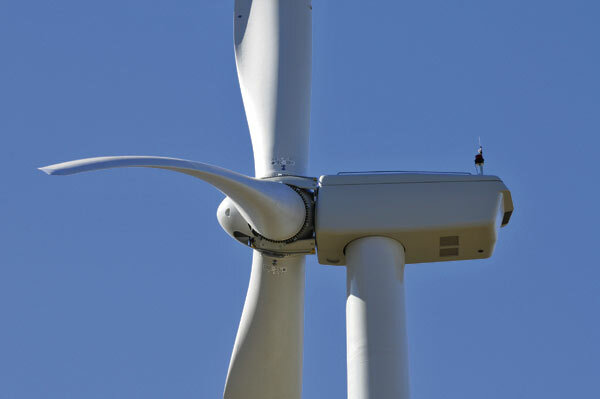 This recent investment is going into the clean technology sector for harvesting of energy from wind turbines. The potential for Mongolia as an energy supplier is a very real and substantial prospect. The Advent of Artificial Intelligence: Ask Stephen Hawking about it.